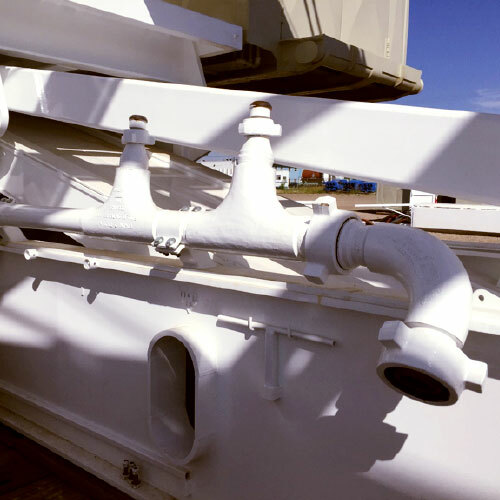 We are one of the industry leaders in Drilling Rig high pressure piping systems in Edmonton, Alberta. We are ISO certified, specifically trained and follow the highest standards for High Pressure Pipping services and manufacturing. If you are looking to upgrade your drilling rig to high pressure pipping and want more information please contact us. NTI personnel are capable of writing and qualifying weld procedures. Procedures done using calibrated welding machines, strict pre/post heat treatment requirements, maximum welding heat inputs, welding rod and wire conformance certifications to AWS A5.28 2005 / CSA W48-06 and NDT requirements to B31.3. Procedures can be submitted for ABSA approval. 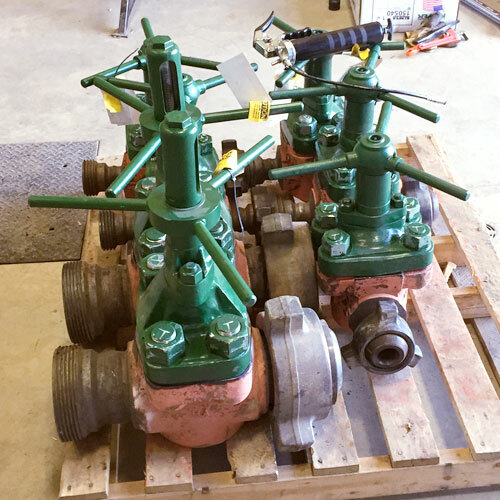 Fittings that are not readily available can be designed and manufactured to ASME B16.9 if required. (End caps, reducers etc.). NTI can supply 4” and 5” end caps and reducers. API 6A Spec. 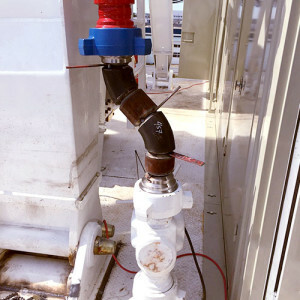 flanges and other end connectors can be supplied in materials conforming to AISI standards and requirements for weld procedures. NTI can supply 5 1/8” to 2 1/16” flanges. Mill Test Reports are reviewed and approved to conform to specified welding procedures and North American or European material standards. 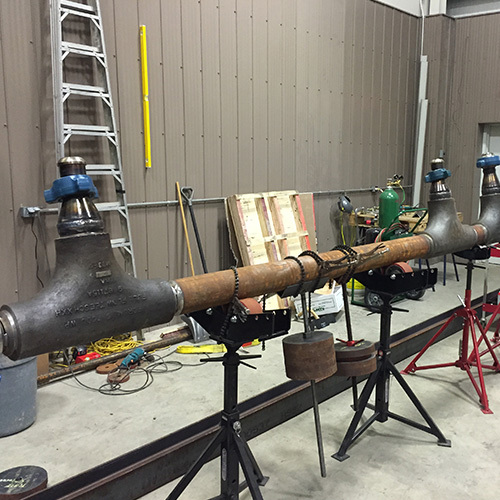 Manufacturing of piping is done using Alberta B-Pressure certified welders. Certification letter stamped by APEGA certified engineering company for designed piping systems. 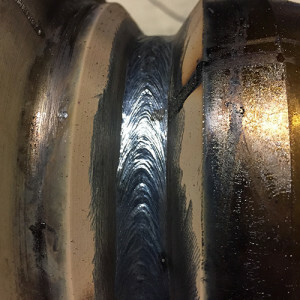 Advanced welding procedures – quality root pass. Piping is manufactured by Alberta B-Pressure certified welders. 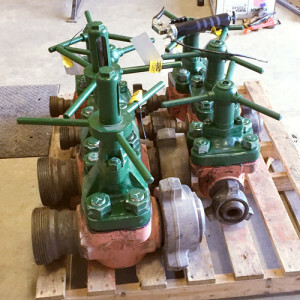 Forum Valves – compete disassembly, weld on hammer unions to ASME B31.3 and reassembled. 5” XXH 4130 7500psi sub mudline with Forum Tees and NTI reducers – fabrication in progress. 5” XXH 4130 7500psi sub mudline with Forum Tees and NTI reducers – complete and installed.